Have a "hot" growth company in the technology sector you want the world to hear about? Nominate them to BC's 10th Annual "Ready to Rocket" list. 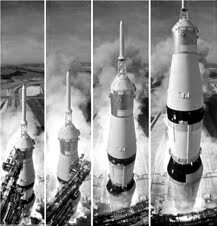 Rocket Builders is Seeking Nominations for the 2012 "Ready to Rocket" and "Emerging Rockets"Lists. This recognition program will showcase companies in ICT, CleanTech and Life Science sectors and will be presented before the VEF event at the end of February. The "Ready to Rocket" Lists feature top technology companies that are best positioned to capitalize on the largest growth trends in the technology industry. This upcoming list will the the 10th year of this recognition list. We expect that companies selected to the "Ready to Rocket" list will outperform the economy and represent important trends that are creating rapid revenue growth. We are seeking nominations for the 2012 "Ready to Rocket" lists that we will present on February 28th 2012. Nomination deadline is February 19th 2012, but submission as soon as possible will allow the selection committee more time to consider your nomination. Please nominate a company even if the company is "too early" to qualify as Rocket Builders also recognizes emerging companies. Many promising companies are too early in commercialization, too early in first revenues, or in transition to new markets or business models. Based on the potential of their technology alone, Rocket Builders recognizes their potential in a "Emerging Rockets" list. These companies represent companies to watch over the next few years and are likely to mature into "Ready to Rocket" companies.